Bellini anyone? I’ll take two, no make it three, actually how about a bottomless bellini with brunch? All of the above is possible with ‘Bottomless Bellini Brunches’ and other fun cocktail events popping up all over Sydney — making them the hottest new way to get together with the girls this summer. 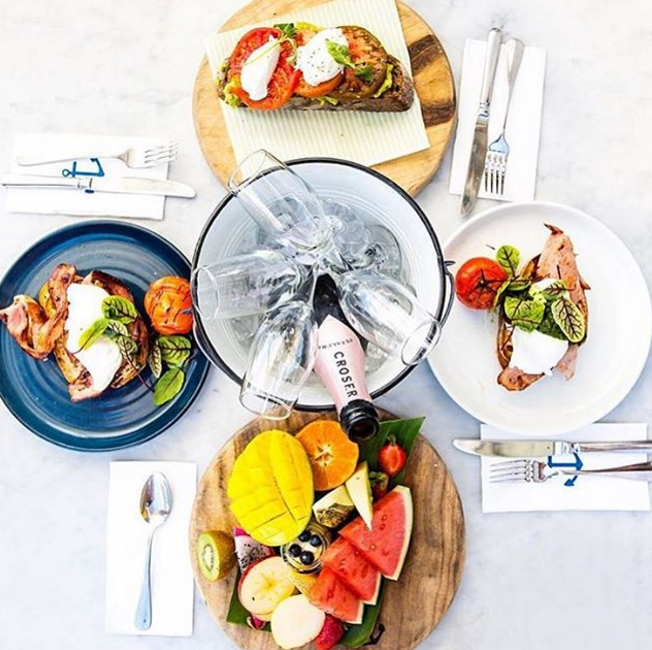 Gather a group of six or more to enjoy Banquet Brunch & Bellini’s every Saturday morning at The Royal Hotel in Paddington where for $75PP you and the girls can enjoy a three course banquet style brunch menu with bottomless bellini’s. It’s seriously the only way to brunch! On arrival you can expect to receive an array of delicious seasonal fruit and a vast selection of mini pastries. Followed by vanilla bean yoghurt, mango coulis and passionfruit and coconut chia pots with fresh raspberries. All capped off by Spanish baked eggs, with chorizo and pimientos, smoked salmon, crème fraîche and dill with toasted artisan sourdough. Another eastern suburbs option is The Darlo Country Club — whose popularity has superseded other establishments over the past year. They offer varied options at different costs which include your straight champagne options (bottomless is an option of course), mimosas, bellinis and of course incredible food! The Brunch Club reopens on the February 18. If you’re feeling like more of an inner city vibe, why not head to The Champagne Room every Saturday and Sunday where they are mastering the art of the Long Ladies Lunch. $70 gets you three fabulous courses and three hours of bottomless bellinis in peach, raspberry and lychee flavours. To start, the food options include butternut pumpkin dip with pita bread and porcini arancini with goats cheese, parmesan, gorgonzola and aioli. Then you’ll be served an array of delicious meat pastries with andouille sausage and mustard fruits, wagyu sliders with cheese, pickle and beetroot and veal and chorizo sausage roll. Finally to cap it all off, you can indulge in a champagne spider tower with sorbet, strawberries and rose petals alongside petit fours. Just downstairs from The Champagne Room, there’s The Winery which has just activated their Club Aperol which is running until February 3rd. This will be the place for inner-Sydney to enjoy a Summer spritz session with live crossovers from the Australian Open. Guests will be treated to Aperol Spritz and a range of charcuterie boards within the Club Aperol pop-up in the garden. This will be the perfect venue to waste away the summer afternoons during the holiday break. In case you didn’t want to commit to the pre-packaged brunch/lunch, Bellagio Cafe in Waverley offers glasses of punch and spritz with your meal. Available from 7am, 7 days a week. Now, that’s what I call a good start to the day! Bills is one of the best-known establishments in Sydney — and across the world — with restaurants in London, Tokyo, Seoul and Honolulu. But you can’t beat Bills at Bondi — with that iconic beach and aperitifs! 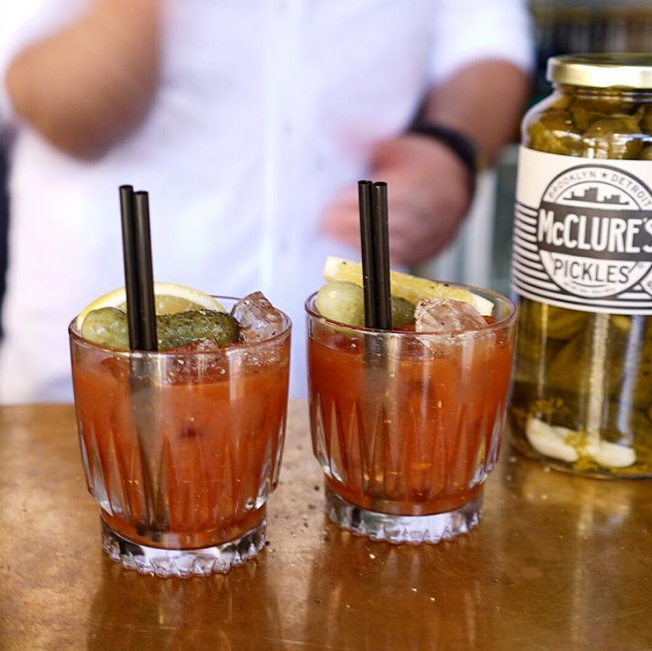 Imagine white peach bellinis and the biggest and spiciest bloody mary’s in Sydney — they’re almost a meal in themselves. Accompanied with his famous sweet corn fritters, hot cakes or good old avo/vegemite toast (yes, it’s delicious), it’s the perfect way to start the day! Located within The Old Clare Hotel in Chippendale, an industrial heritage-listed site that was formerly the Carlton & United Brewery administration building, Kensington Street Social focuses on a brunch containing Mediterranean sharing plates. Also, serving quirky cocktails in the form of ‘Kale Mary’s’, ‘Wrong Island Iced Teas’, espresso martini’s and bottomless bellinis of course! All perfect to cure that nasty hangover. Open daily from 7am — 4pm for brunch and lunch this cafe is serving up an array of delicious dishes with bloody mary’s and 169 spritzers. They also do a mean espresso martini too. ALL the brunch items at The Boathouse are to die for, the scenery is picturesque and the interiors divine — best part if you can order a bottle of bubbles with all of the above! 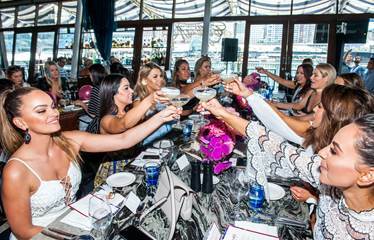 Alternatively, if you can’t quite get up in time for brunch there’s always an abundance of ladies lunches on offer, including Cafe Del Mar. At $75pp to experience a Chef’s exclusive Mediterranean menu, think Angus beef carpaccio with new season asparagus! You can also upgrade to Moet with all courses for $130pp.